Beijing: China will give 48 high-end drones to its close ally Pakistan, a deal, which experts say, could be the biggest of its kind.The Chinese media reported about the development after India struck a $5 billion deal with Russia to buy S-400 defence systems. China is Pakistan's biggest arms supplier. Wing Loong II, made by Chengdu Aircraft Industrial (Group) Company, is a high-end reconnaissance and strike multi-role endurance unmanned aircraft system. The cost and the time period of delivery of drones were not known.The Global Times said the deal was announced by Pakistan Air Force's Sherdils Aerobatic Team on Sunday. The report cited the aerobatics team as saying that in the future the Pakistan Aeronautical Complex Kamra and the Aviation Industry Corporation of China's Chengdu Aircraft Industrial (Group) Company will jointly manufacture the drones.Wing Loong II made its maiden flight in February last year, Xinhua news agency reported.The largest overseas order for Wing Loong IIs was obtained even before the maiden flight, Xinhua said. The report did not specify the buyer. 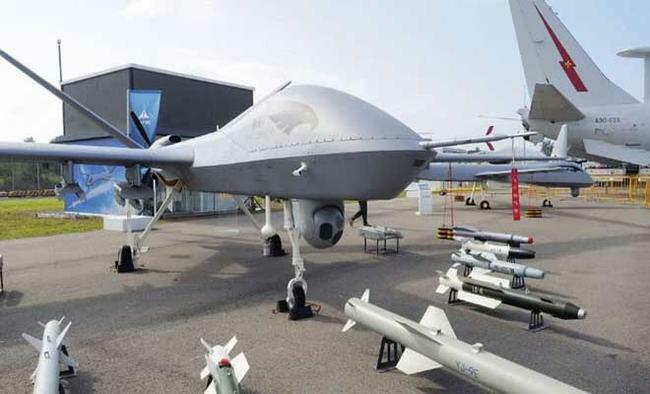 "A deal involving as many as 48 Wing Loong IIs, if confirmed, would be China's largest export deal for drones to date," Song Zhongping, a military expert, told the Times. "The deal is trustworthy given the close military ties between the two countries and Pakistan's need for drones," Song said.